Contact us if you want to ask any questions about our wedding cars. 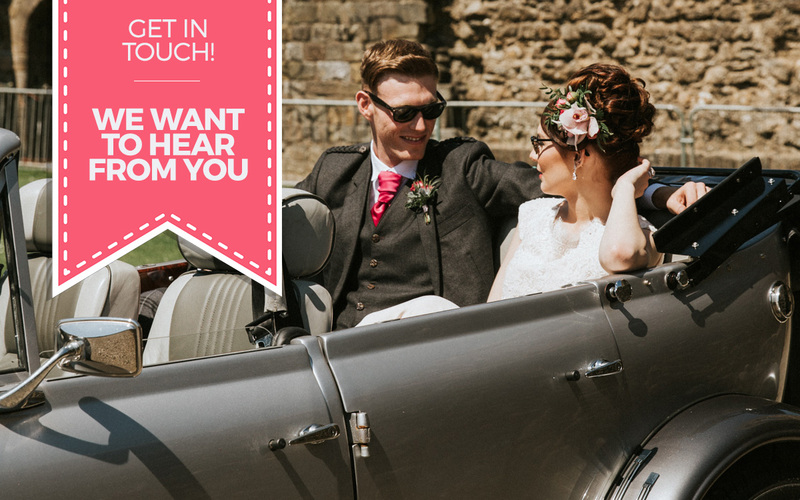 You can fill in the form below to find out about the rental prices for our wedding cars in Glasgow, and we will get back to you as soon as possible. To receive an accurate quotation, provide us as much information as possible about your requirements. You can also email us for information on any of our wedding cars: enquiries@glasgowweddingcars.com or call 07929052978.